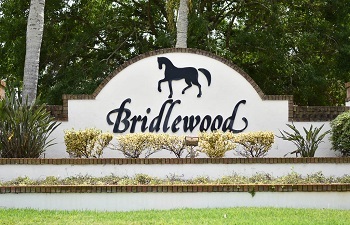 The single family homes of Bridlewood at Tarpon Woods are moderate in price, amply sized, and located in a great, centralized part of the greater Tampa Bay area. The homes here have pools with covered lanais, 2 to 3 car garages, and up to around 3000 sqft depending on the floor plan and layout. Some of the properties even overlook conservation areas so you can relax by the pool while you take in all the beautiful Florida nature. Not only is this East Lake neighborhood convenient to both St. Pete and Tampa, there are plenty of nearby options for shopping, dining, golf and entertainment nearby, includuing top rated schools. If you are considering settling down in a quiet, peaceful area of Pinellas County, look no further than the amazing homes of Bridlewood at Tarpon Woods. Selling your home in Bridlewood at Tarpon Woods? Our team of realtors have years of experience selling properties in Pinellas County, and we will welcome the opportunity to sell yours if you are ready! Get in contact with us through the form below or by phone/email and we will get back to you in no time with a quote on our services as well as the estimated value of your home. Ask about our FLEXIBLE selling commissions?